Nickelodeon’s NickFest Live in partnership with Glen21 Entertainment and Jacaranda FM will be coming to Johannesburg this July. 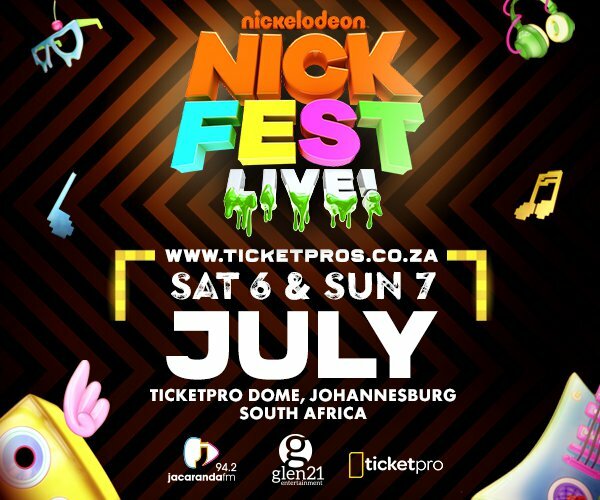 Nickelodeon’s NickFest Live comes to Jozi on 6th and 7th July 2019, in partnership with Glen21 Entertainment and Jacaranda FM. Filled with SLIME, MUSIC and MAYHEM, join Nickelodeon for the biggest and slimiest event of the year! Packed full of top music acts, special guests, your favourite Nickelodeon stars and most importantly SLIME! For more info leading up to NickFest Live, see below. For all the excitement, games, music and information you will need to get you prepared for the time and SLIME of your life, please go to any of our social media accounts.